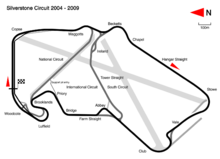 The 2004 British Grand Prix (formally the LVII Foster's British Grand Prix) was a Formula One motor race held at the Silverstone Circuit on 11 July 2004. It was the eleventh race of the 2004 Formula One season. This was Marc Gené's last race to date. From the German Grand Prix to the Italian Grand Prix, he was replaced by Antônio Pizzonia. This was the first podium finish of the season for a McLaren driver. Jarno Trulli had a dramatic end to his race. He lost control of his Renault through the high-speed Bridge Corner, and hit the tyres on the inside retaining wall. The car then barrel-rolled through the gravel before coming to a rest just after Priory. Trulli was unhurt, although he did say he was "a little crazier, maybe". Both Minardi cars raced with sponsor-free liveries, showing only the dedication "John Boy" to team manager John Walton, who died days before the race. ^ Fosters British Grand Prix Official Program. 2005. Retrieved 11 September 2010. ^ "2004 British Grand Prix – Saturday Qualifying Results". Formula1.com. Formula1.com Limited. Archived from the original on 30 September 2013. Retrieved 27 December 2015. ^ "2004 British Grand Prix – Race Results". Formula1.com. Formula1.com Limited. Archived from the original on 16 November 2014. Retrieved 27 December 2015. 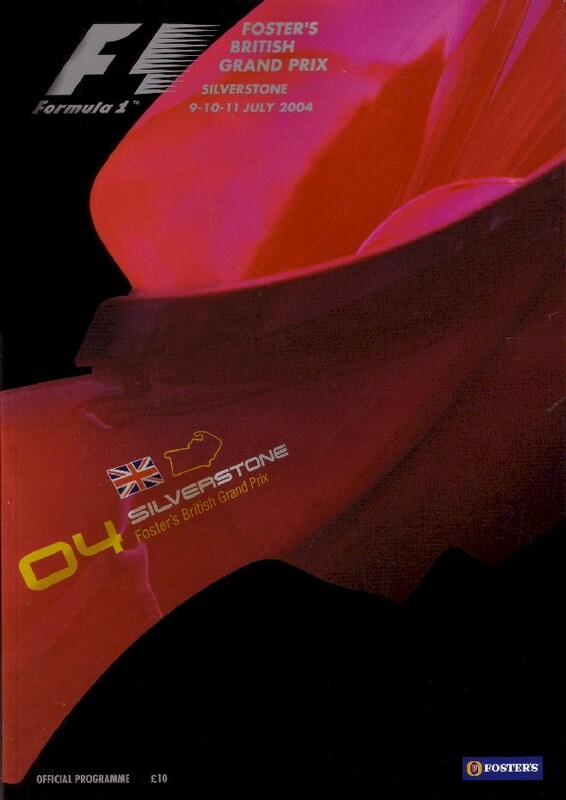 ^ a b "Britain 2004 - Championship • STATS F1". www.statsf1.com. Retrieved 14 March 2019. This page was last edited on 14 March 2019, at 15:06 (UTC).